It is a shop to hear. There are a lot of old and new Japanese book foreign books. It is available as an exhibition hall of the hobby. It is available as a class meeting place. The MARIYA handicrafts shop spins a handwoven handle of New Zealand ashufodo company and is an article regular import store. 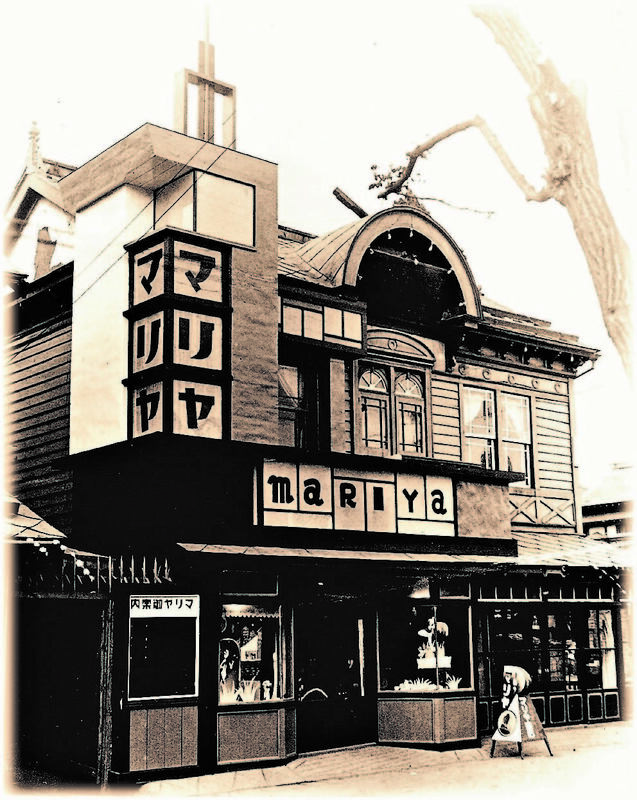 I opened the Saint Mary handicrafts shop in the birthplace where main room tea (1898-1977) ran printing business in Sapporo Station main street in 1926 (Taisho 15), the corner of the North Sea slate place (1893 founding). The origin of store's name "Saint Mary" is a Japanese folkcraft, "a burr shop" of the playing with a ball hitting with the hand (temari). The existing president is the fourth generation, a great-grandchild of one of the founder. I value the old document with a clock tower (1878 ...) and aim at the making of shop which can feel charm of Sapporo to all of you. There is the current shop in the home place of the main room tea, and you can see even Web, but the store which I built in 1983 (Showa 58) looks forward to the visit by all means. It is full of embroidery and book information. There are the blog of the president, a gallery report, the news of the new product for the MARIYA handicrafts shop fourth generation loving Hokkaido, Sapporo, too. Unique clothes and bags of one article of production assemble in full force. 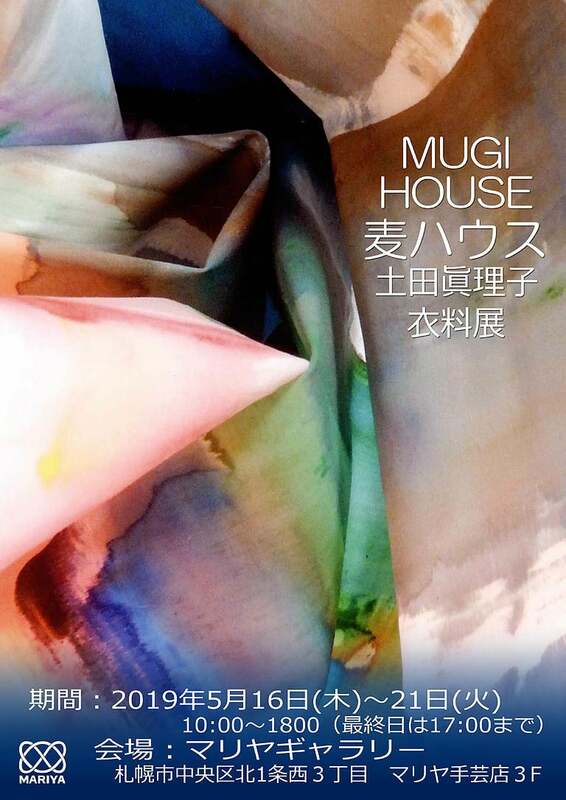 It is an exhibition of Mariko Tsuchida that the world of the art spreads out from textile materials. I sell the work. A reference: TEL. 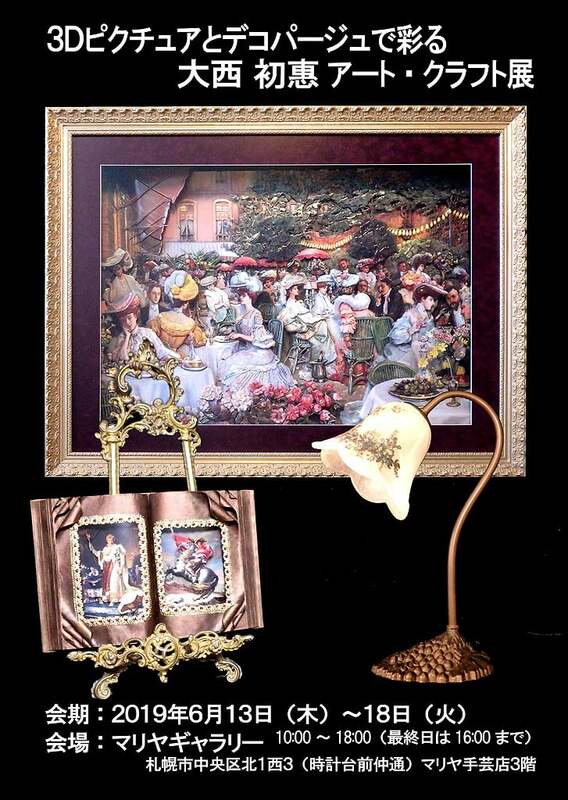 0133-74-4248 "wheat house"
"A handwork exhibition of 髙kyohakukoshi"
"A Hatsue Onishi art craft exhibition"
I display France, an embroidery work sample of D M sea company and sell an embroidery kit. A reference book, the goods concerned are the first floor. 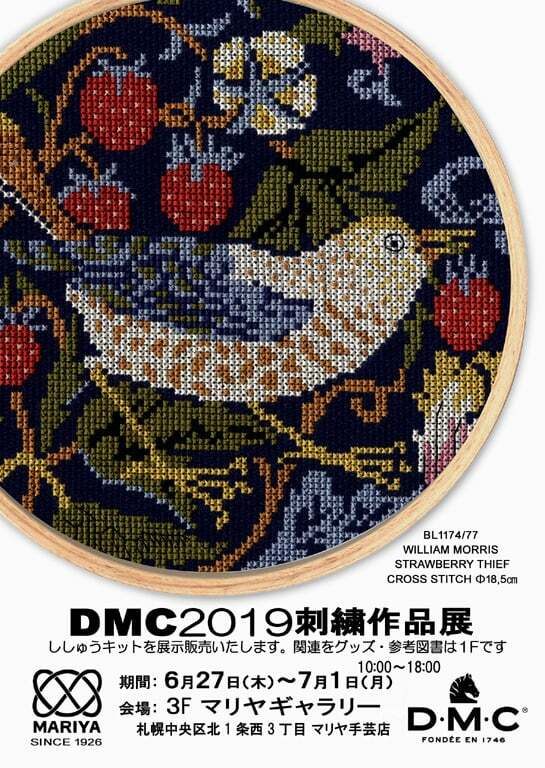 Let alone cross-stitching, there are the collections of designs of the free stitch, too. I sell the handwoven plane (weaving machine), spinning-wheel (spinning wheel) body and an article, materials. Product made in New Zealand ashufodo company and Japanese karanko are main. The custom tailoring of the reed is possible, too. I perform consultation of the optional installation, repair, the maintenance. Please consult about the other brands. I weave a lot of dyeing with vegetable dyes, chemical dyeing dyeing materials collecting handling. Seiwa and Katsura shop Fine goods (miyako dyeing) are main. I handle the Miyuki art flower. I sell the rare reference book (I include used goods). A lot of glaze furittomirufioribenechiangarasu copper sheet enamel metal plate line silver foil gold leaf ceraseat obi buckle broach pendant key ring strap tiepin earrings cuff spoon fork bag holder electric furnace (Shirota electric furnace materials company handling) hearth board adhesive kurahoseseramaka materials et al. A lot of carved seal tool leather sewing thread race composition lining interlining pigeon machine Japanese hawfinch spring hook magnet jumper button dagusenryokokazai oil half-finished goods cowhide yumpie pig leather floor leather straight leather fastener concho buckle vice-material assistants et al. Cut scissors needle frame vice-material reference book design tapestry parts color number conversion list et al. Besides, I am handled in various ways in the first floor of to々 and 2 underground floors. Even her barium is popular. There is the lavender for the potpourri from Furano, too. A weaver bunch "crane rhyme"
Copyright©MARIYA handicrafts shop All Rights Reserved.